There's no extreme metal genre more ardent than death metal. Look one way and you're confronted with Swedish greats like Grave and Unleashed, look the other way and you've got US behemoths like Cannibal Corpse and Immolation. That's not forgetting all of the gory and slamming bands that sit below the surface. US label Horror Pain Gore Death Productions have been unearthing so much underground death in recent months and Castrator are one such band. Made up of members from all corners of the world, they released their debut EP No Victim in May. What you get with Castrator is heavy thrash-laden death. These crazy battle vixens go straight for the jugular on opener Honor Killing. It’s hammered out at a raging tempo with a great solo at mid-point that has more than a reek of the old-school about it (which is a good think in my book). The vocals are low, rumbling growls that match the machine-gun drumming on Brood. There’s an element of slam in Castrator’s music and going back to the above paragraph. Brood even features a guest solo from Immolation guitarist Bob Vigna. That’s got to be seal of approval! After an obligatory horror movie sample, Castrator threaten to chase you down on The Emasculator. God knows what they’ll do to you once they’ve got you, but I can imagine this song playing in the background. It all ends with the whirlwind inducing title-track that’s delivered with neck snapping ferocity. 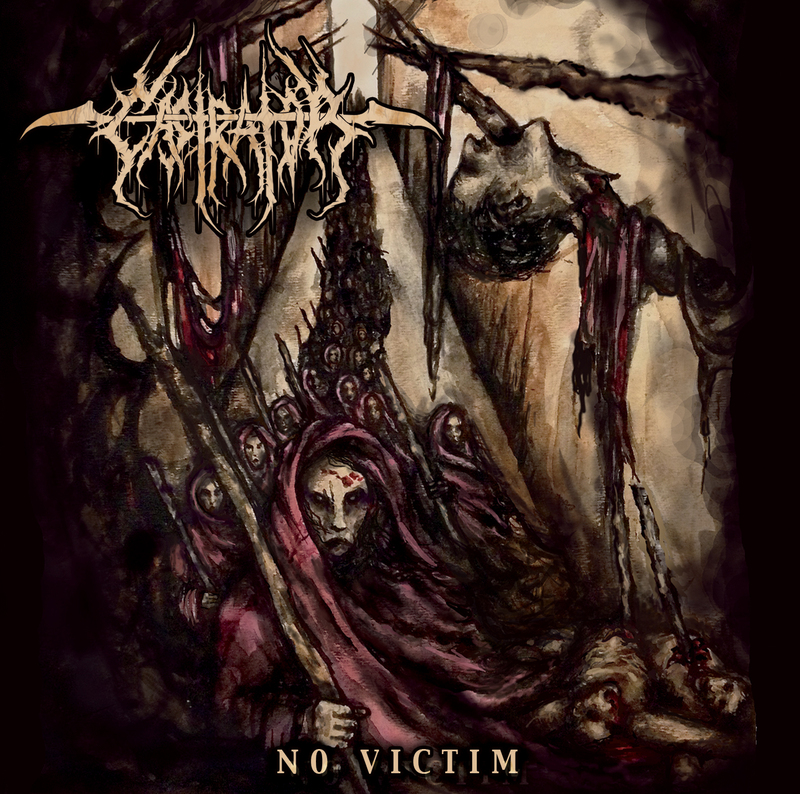 After listening to No Victim, I have no hesitation in saying that Castrator have the ability to become as big as the likes of Grave, Unleashed, Cannibal Corpse and Immolation in the future. They’ve delivered a really solid EP that demands repeat listens. You can buy CD copies directly from Horror Pain Gore Death Productions above.